Vi is old school text editor developed for Unix operating system. Linux distributions also provides vi by default. But what is is vim . Vim is improved version of the vi. Actually vi has a lot of alternative versions but vim is the most popular and accepted version. As stated previously vim puts more features to the vi text editor. So our tutorial will look Plus features of the vim over vi. While developing applications and scripts we generally use provides libraries, functions etc. There are a lot of libraries and functions and knowing all o them syntax is not possible. Completion is a helper features which provides available libraries and functions provided and auto completed. While writing code and scripts as a human being we are vulnerable errors. Spell check provides assistance during writing and developing scripts. It show syntax errors. Provided code and text files can be compared in order to see the difference or development between versions. Old style application developers generally prefer patches which is difference of two files in order to distribute new improvements. Vim provides merging which can be used to patch improvements of the code. Unicode is gained a lot of acceptance. Most of the files uses Unicode for character encoding. Vim can easily detect, open and save Unicode encoded files. Regular expressions are very useful search and replace operations. Regular expressions provide flexible text and string definition. Some trivial tasks can be automated. This automation can be via scripting. vim can use scripting in order to automate tasks. Plugins extend current features of the vim. New features can be easily added from 3’rd parties without needing to change main and official vim code base. 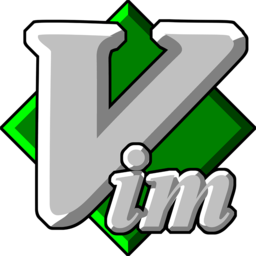 vim has a lot of implementations those provides Graphical User Interface. GUI’s are implemented for different desktops like KDE,Gnome, XFCE and Windows Desktop too. For Windows Desktop GUI read following tutorial. A lot of different programming and scripting languages provides different keyword and structures. While coding providing visual assistance for these keywords and structures is very helpful. Vim can provide syntax highlighting for a lot of programming languages. Here a list of language supported by vim for syntax highlighting.